The joys of having a student at your school being recruited by your favorite University, is we get personal visits from the Big Guys! We are so in love with our fall pictures! I had to wait to share them until the majority of our Christmas cards were mailed out. So proud of Savannah and her performance at the State Cheer Competetion! We all were wanting to walk away with first place in the state of Alabama, but we placed second in the state. I am still super proud of all these girls and a job well done. No one understands the time and dedication these girls have put into this. Now it is time to move on and prepare for Regionals. Go Pirates! We took the baby boy and baby girl to Boo at the Zoo tonight! 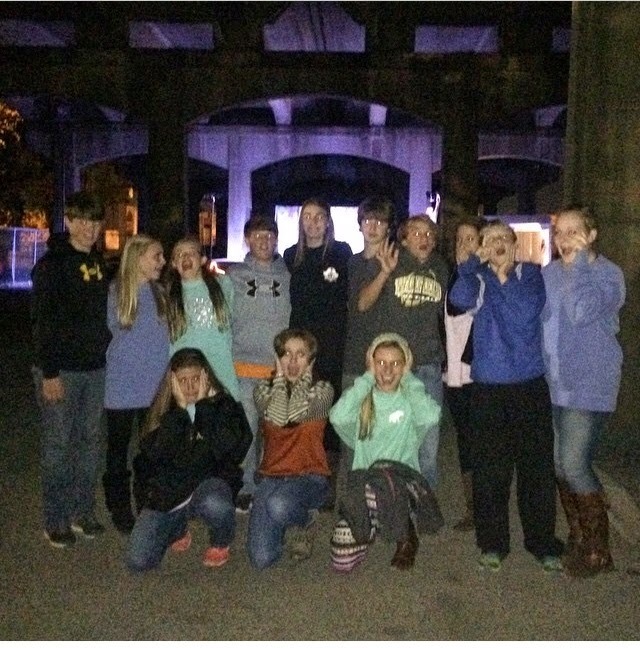 We had a great time watching them ride the rides, trick-or-treat and a few shows. They were excited to run into a few friends while we were there. 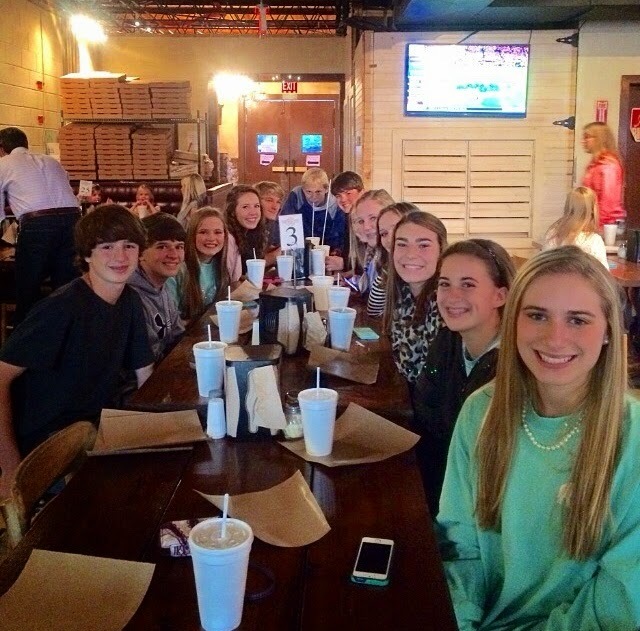 Savannah was off being way cool going out to dinner and to Sloss Furnace with all of her friends! Savannah cheered in her last jv football game tonight. Such a bitter sweet night. I cannot believe the next year she will be in high school. 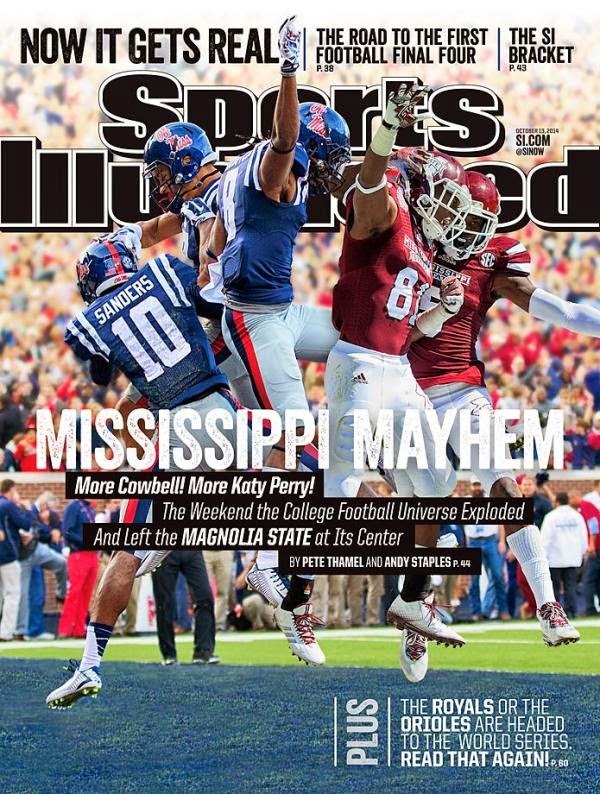 This weekend was the best weekend EVER as a Mississippi State fan! I can only hope that this will continue the entire year! College Game Day was in Starkvegas, MS! That is so unbelievable! Never have we hosted such large events in the city of Starkville as we have the last two weekends. Last weekend was SEC Nation and this weekend College Game Day! We traveled over to Starkville Friday to set up our tents for tailgating. It was already a madhouse in town. We got our normal spot and spent the rest of the day looking over all the sites of College Game Day! And of course we had to get some Bully Icecream!! Saturday we headed back to Starkville bright and early for a full day of tailgating and Mississippi State Football! It was such a treat to be with great friends from college and a few of my favorites from Fayette stopped by to see us all! Finally it was time for the big game. We had planned to just tailgate, but at the last minute two of the littles decided to stay at the tailgate with Julia and Trey so Savannah and I got to go to the game. And what a game it was. State took the early lead 21-0 and never let the Tigers take the lead the entire game. It was a great defensive and offensive battle. Everytime the Tigers showed a little momentum, the Bulldogs answered back! I was so proud of my great university and the class and sportsmanship the fans showed after the game. Everyone stayed in their seats cheering, singing Maroon and White, and Hail State! So happy to have been part of the great day even if we did get drenched in the down pour! The kids were so excited after the game to get pictures with a few of the players and cheerleaders! And what better a way to celebrate a huge win over Auburn and being ranked Number 1 in both polls is to celebrate with a little more Maroon and White on Sunday morning at church! I'm like a year behind on my blog and I promise myself that one day I am going to get caught up, but I have got to start getting back on track and what a better way! My university that I love so much is finally getting the national attention! After absolutely demolishing Texas A&M this past weekend we are ranked #3 in the AP Poll! Yes we have to share the rankings with Ole Miss (BOOOO), but even with that you cannot take the excitement! College Game Day will be in Starkville on Saturday for our game against Auburn! We will be in Starkville too! We do not have tickets (very sad about that),but we will have a great time tailgating with our friends and cheering on our Bulldogs from the Junction! 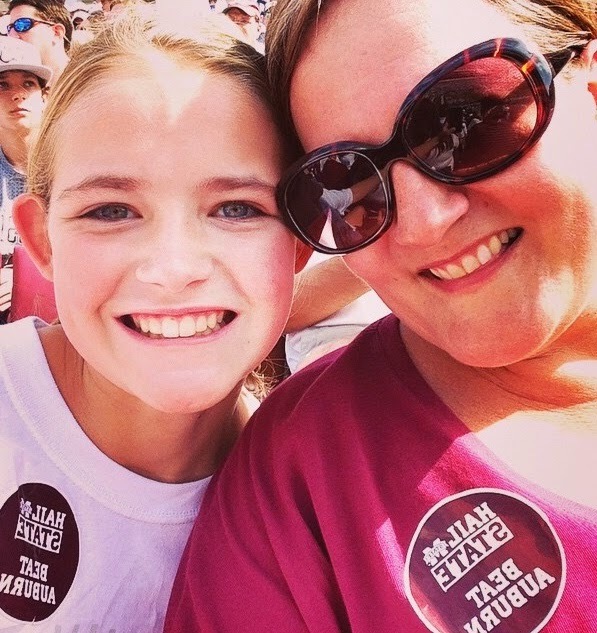 Love this football season and our Mississippi State Bulldogs! It takes me back a few years to when I was at every ballgame cheering on my Dawgs!